Depends on how you want to carry it Michael. Kydex are great but in my opinion not too comfortable against the skin. I'm actually considering a shoulder holster but cant decide which one. Since I am usually wearing my shirt tucked in I don't think I could conceal it in my waist. I have an inside the waist bianchi for my Makarov that lets it sit low enough its barely visible. Yes this impedes my draw speed but concealabilty is great. My XDM I just ordered an Alienware that will let my laser fit in it too. Out in the woods I have a Sherpa OWB that I carry the 10mm in, but it's not exactly a concealable combination for going into town after the hunt. Surprisingly, this IWB is actually pretty comfortable and conceals pretty good considering the size of this guy. How does that holster attach to the belt? I'm usually a fan of loops with snaps rather than many of the talon shaped clips used by most holster makers. It has a belt clip on the other side, not loops. The side that is facing up goes against the body. Personally I prefer the belt clip for the ease/quickness of removing it. I believe one of RDR's options are snap loops though. Okay. Some of those clips are pretty positive, and hold up well. Naturally, width/thickness of your belt plays a part too. I have several of their holsters, each with the clip and haven't had any issues with the clip itself. Well, this one I bought, they definitely got the internals right on it. Darn near as good as installing an Apex kit. The last month or so S&W or their distributors must have offered some great rebates on the J-frame five shot .38 special revolvers. Was able to get a model 442 for $340 out the door, taxes included last week. No external key lock on these, even better. Dang thats pretty cheap! Nice score! 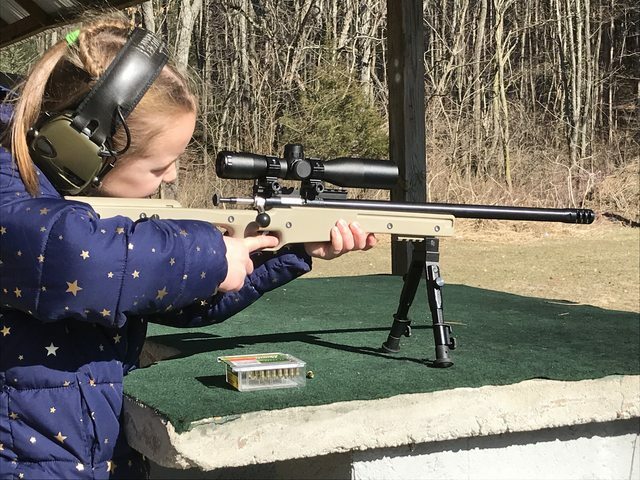 Picked up my six year old a new .22 to teach her how to shoot. 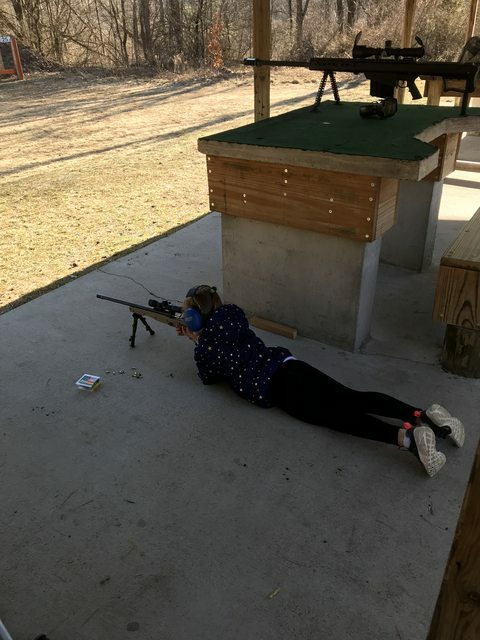 She hit the two inch metal target at twenty five yards on her first shot. She did great! started both my kids at the age of 6. Been around firearms all their life and they tell me all the time they have more respect for life and firearms than most of their classmates. I sure love my 1911.